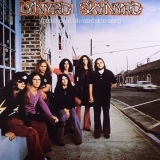 (pronounced 'lĕh-'nérd 'skin-'nérd) is ranked as the best album by Lynyrd Skynyrd. Members who like this album also like: The Dark Side Of The Moon by Pink Floyd, Led Zeppelin IV by Led Zeppelin and Wish You Were Here by Pink Floyd. Smoothie King Center, New Orleans, United States. Lafayette Cajundome, Lafayette, United States. Related links: top tracks by Lynyrd Skynyrdtop tracks of the 1970s, top tracks of 1973. Showing latest 5 ratings for this album. | Show all 478 ratings for this album. Top Tracks: "Tuesday's Gone", "Simple Man", "Free Bird"
Nothing more than great, simple rock songs. Rock do sul dos Estados Unidos grandioso. Tuesday's gone, Simple man and Free bird are obvious highlights. Tracks from the second half of the album are really nice too, but in the first half there is some filler. If the first part was better it would be an excellent record, because it has potential. Excellent album, stocked with good songs. Easily Skynyrd's best, as well as one of the best debut albums ever.